I have written over time a number of articles and blog entries about using a Travel Professional when planning a vacation or major trip. Recently, in the travel industry itself, there has been considerable discussion in professional travel groups about the merits and demerits of developing a certification program that establishes the minimum standards of knowledge, experience and professionalism one must have before being allowed to sell travel. A few colleagues have written in recent times about their conviction that travel agents need to be certified in some sort of way to insure that they meet some nefarious minimal standards of knowledge and training. Now mind you they are not writing from the view point of "protecting the traveling public" though that might be a byproduct. They are principally concerned about not having their own reputation as reputable and professional Travel Agents tarnished by those who are untrained and lack product knowledge. I have had an on again - of again ongoing conversation with one of them for a couple of years now and neither of us has convinced the other. Clearly, we all want the people who are in our industry to be knowledgeable. I for one would like everyone entering the travel industry to have a basic understanding not just of the myriad of destinations but also the mechanics of actually putting together a real vacation package. My goal, and that of every serious Travel Professional is to provide within your budget the best vacation you can get. In one of Charlie Funk's latest articles he concedes after hearing from his readers that certification may not in fact be needed. He does not back way from the need for a Travel Agent to have product knowledge and a good working knowledge of the travel industry but recognizes the flaws in a certification system. The failure to be professional as a Travel Agents does in fact have a negative impact of how people see all Travel Agents. I'll accept most of that. 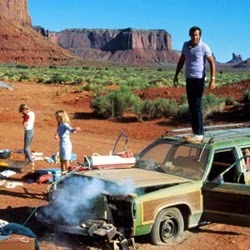 scene from movie "Family Vacation"
I contend that in our era that "Every time a traveler has a bad experience" with a travel agent of any kind it tarnishes the whole lot. Fair? . . . No! Fact? . . . Yes! Same is true for every business. 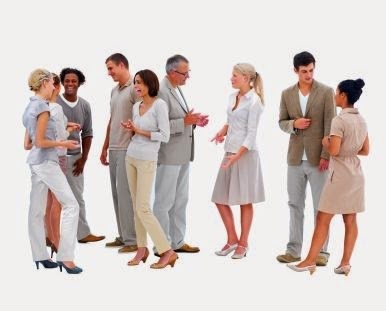 People with bad experiences virtually always lay it at the feet of others regardless of the agents level of knowledge, experience or "professionalism." It is in our national DNA to blame someone else . . . the TA made the arrangements so it must be their fault I had a terrible trip. From the supplier side a sale is a sale is a sale regardless of the competency of the agent or the technical sophistication of the online system. It all about selling and those best at it rise to the top and those who are not, well they don't. It's really simple: know your product; know your client; sell them the right product and usually they will buy through you again. At least until they have a bad trip. Every travel agent I have met, and I have met hundreds if not thousands over the years, in general have a reasonable product knowledge given the sheer volume of products out there to know. It is quiet impossible for any one person to know every travel product vying for your travel dollars. Hotels alone number in the thousands and while most people where I live think there is just one cruise line there are in fact dozens a cruise lines with hundreds of ships. What distinguishes winners from losers is not product knowledge . . . it is salesmanship . . . namely the ability to close the sale. Some people seem to be born good at it while the rest of us learn how over time by trying and trying and trying again until we get it or quit and do something else. As for reputation, my reputation depends more on what I do well than it does on what someone else does not do well. Sure what other TA's do wrong has a negative effect but that is an opportunity to demonstrate what a "professional" seller of travel is as well as an opportunity for a new client. Or as in Music Man . . if you can't sell them a trombone sell them a band. In short, know your client and match their needs and lifestyle to the kind of vacation that matches who they are and what they can afford. Now a word to the person shopping for a trip. I use that word shopping because we know most clients have already done at least some internet research before contact us the travel agent. When I was a very young man a very wise individual told me, "find you a good accountant, a good lawyer, a good doctor and a good financial advisor." He continued, "don't settle for the first one you meet. Visit them and have a conversation with them before committing to them even if you have to pay a consultation fee. Find a person in each filed that you believe is competent, has integrity, and with whom you are compatible." To this day I pass that advise along to young people. It good advise! I would add to that list a good travel consultant (sometimes called a "Travel Agent"). That should be someone who is knowledgeable, has integrity, is interested in you as well as having your business and to whom you can relate on a personal level. I suggest you also look for some indication as to what professional travel organizations they belong. Naturally I look for something that shows they are a part of OSSN (Outside Sales Support Association) since I am personally associated with them. While membership does not guarantee profession competency it does indicate they are committed to growth in their profession. If they focus on cruises in addition to an OSSN membership I'd look for a CLIA (Cruise Line International Association) membership and training. Don't assume that this person actually works in what we refer to as a "brick and mortar" building. 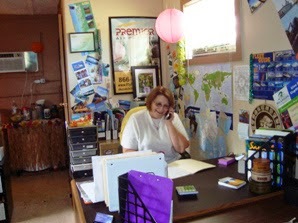 Many, like Patricia Bannister of Bannister Travel, seen at her desk in the photo just to the left work from a home office. 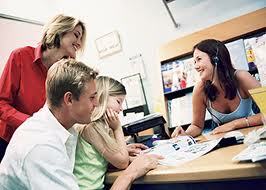 Today most travel agents are contract workers who work from home. In fact, many suppliers will tell you that when they get down into the details of their sales data a very large percentage of their sales originate with "Home Based" travel professionals. Many of the "Brick & Mortar" stores are actually what the industry calls "Host Agencies" who hire independent home base contract sales professionals to actually find clients and make sales. They do this the same way auto mechanics have for years worked in auto repair shops . . . i.e., they get a commission split. The host gets the credit with the supplier for the sale and holds part of the commission for back office expenses. In addition to the host agency associated travel consultant there is the independent home based travel consultant. That's my category. I work from my home and handle everything regarding the clients trip. I have my own relationship with my suppliers and deal directly with them on behalf of my clients. My point is one is not by nature better than the other. Your looking for expertise, skill, integrity and all of these can provide that. I will confess that as overhead at brick and mortar stores go up and supplier commissions go down the number of Home-Based Agents is increasing. 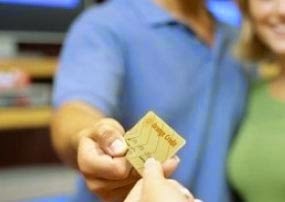 Now here is my advise: Before you swipe that credit card . . . .
Find and commit to a profession travel consultant/agent just as you would any other professional (Doctor, Lawyer, CPA, etc.). Next get to know them and let them get to know you. You'll both be glad you did. Do your research if you must but always run it by your travel consultant and then let them do the booking. Remember, they know more about the suppliers than you and they also know how to work with each one to get you the best value. If all you want is information and research then be prepared to pay a fee. We don't work for free: Either we book and the suppliers pay or you book it yourself and you pay. Most agents waive any fees if they book the vacation. Do your best to accurately describe to your travel consultant what you are looking for in a vacation or get-a-way trip. If the consultant doesn't mention insuring your trip then you should ask them about it. Don't believe everything you get in an email or online . . . visit with your travel agent about it. I cannot tell you how many scams are out there and how many people get taken in by the words "free" and "cheap." Trust me, its not free and it will not be cheap. Always give your Travel Professional feedback (good and bad experiences) about the vacation/trip they planned for you. You are our most reliable source of information about most of the properties to which we send you. This is especially true of resorts and hotels but does apply to cruises as well. Remember we love photos. Now, lets get together and plan your next vacation. Check us out at Texas Cruise and Travel.